Once again, I encountered a problem timing my run and this time it was self sabotage. 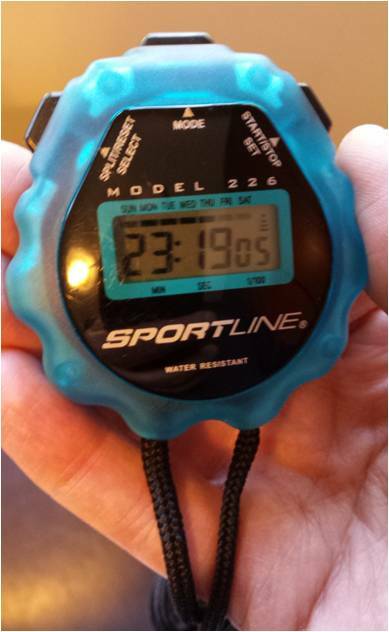 Without a working watch to help me keep track of time, I took my stopwatch that I sometimes use for intervals. That simple tool would give me everything I'd need to calculate my performance on today's run. I've had so much bad luck with the devices I use to capture my running metrics that I decided going low tech was the right path. What I didn't count on was how easily I could screw that up. The weather was perfect when I went out this morning. There was no sign of humidity and the strong breezes cooled without biting. I love fall running and easily settled into a steady rhythm while I mentally mapped out my route. I've been taking advantage of the new sidewalks along SOB Road that provide a nice straight section that goes on for a while. As I neared the end of that road, I stopped for a moment to check my time. 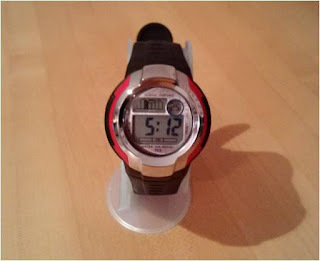 I put my hand in my pocket to pull out my stopwatch and my finger brushed the reset button. Before I looked, I knew I had wiped out my time. I stood in front of the town library and thought about what to do. 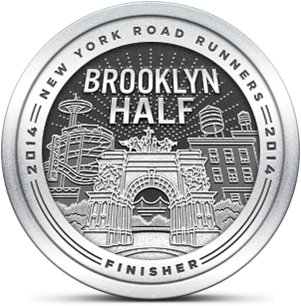 I had only a hazy idea about when I started my run so that wouldn't help me calculate my overall time. 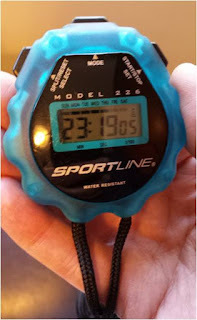 The one thing I knew was where I was when I checked (and screwed up my time) so I could use that as a starting point for timing the rest of my run. Now where did I put that cheap trinket? I restarted the stopwatch and continued along through my last miles, pushing harder than I had before my timing failure. The cool weather helped a lot and I probably would have gone further if I was able to track my actual distance. Now that I know how easy it is to accidentally reset the stopwatch, I'll be a lot more careful. A few years ago Runners World sent me a "running watch" as a subscription premium (see above) that was laughably cheap looking. I put it away somewhere. At the time I dismissed it as junk, but who's laughing now? You should switch to an Android phone immediately.